Definition at line 3503 of file CCopasiXMLParser.h. Definition at line 3506 of file CCopasiXMLParser.h. Definition at line 7514 of file CCopasiXMLParser.cpp. Definition at line 7519 of file CCopasiXMLParser.cpp. 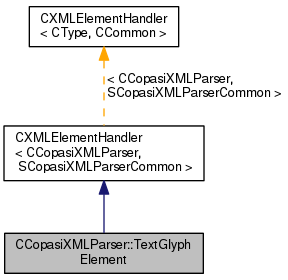 Definition at line 7647 of file CCopasiXMLParser.cpp. Definition at line 7522 of file CCopasiXMLParser.cpp. 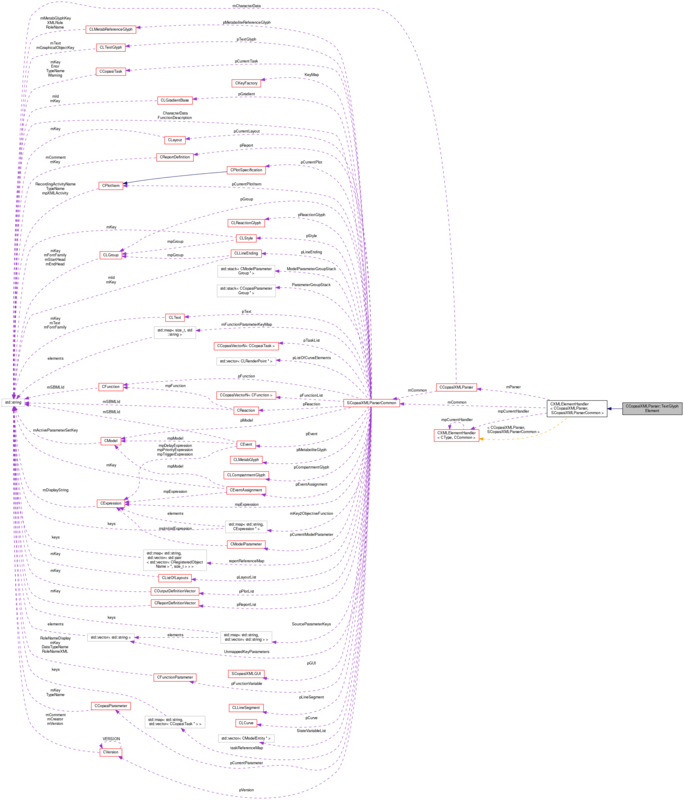 References CLayout::addTextGlyph(), CCopasiMessage::EXCEPTION, CKeyFactory::get(), CLGraphicalObject::getKey(), CModelEntity::getKey(), CReaction::getKey(), SCopasiXMLParserCommon::KeyMap, CCopasiXMLParser::mCommon, MCXML, CExpatTemplate< CExpat >::mParser, SCopasiXMLParserCommon::pCurrentLayout, SCopasiXMLParserCommon::pTextGlyph, CLTextGlyph::setGraphicalObjectKey(), CLGraphicalObject::setHeight(), CLGraphicalObject::setModelObjectKey(), CLGraphicalObject::setObjectRole(), CLTextGlyph::setText(), CLGraphicalObject::setWidth(), CLGraphicalObject::setX(), CLGraphicalObject::setY(), UNKNOWN_ELEMENT, and CCopasiMessage::WARNING. 7587 //TODO: When we have a way to handle references to metab references, this needs to be adapted. Definition at line 3514 of file CCopasiXMLParser.h.